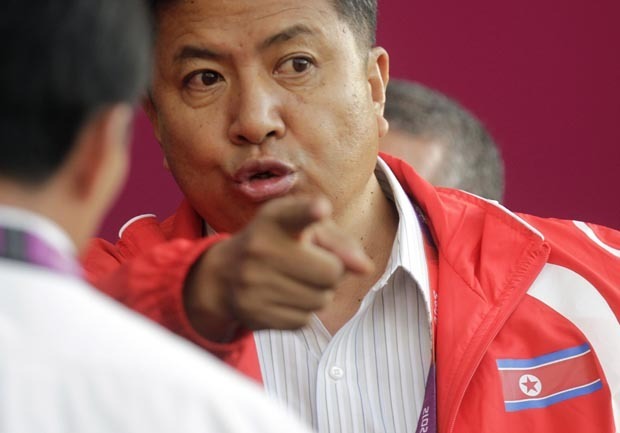 (AP) GLASGOW, Scotland - London Olympic organizers mistakenly displayed the South Korean flag on a jumbo screen instead of North Korea's before a women's soccer match Wednesday, prompting the North Koreans to refuse to take the field for nearly an hour. At the 2010 Vancouver Games, the Australians displayed a flag with a boxing kangaroo  the mascot for the country's team  in the athletes village, despite an International Olympic Committee rule that usually only permits official national flags to be displayed. The IOC eventually relented.